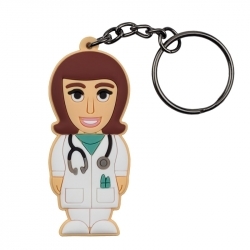 PROFESSIONALUSB® “Doctor” Pen Drives and Keyrings, unmatched and rifined. 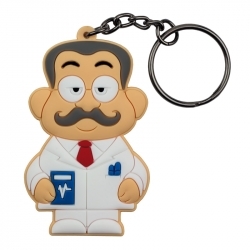 USB Doctor USB Pen Drives and Keyrings are the gift idea for all doctors. Thanks to sophisticated traits and particular shapes they will amaze and honor every medical specialist. Important occasions as the opening of a medical clinic, the earning of a specialization or reaching an important goal are just some of the occasions in which give these Pen Drives away. An original choice to say "Congratulations! ".